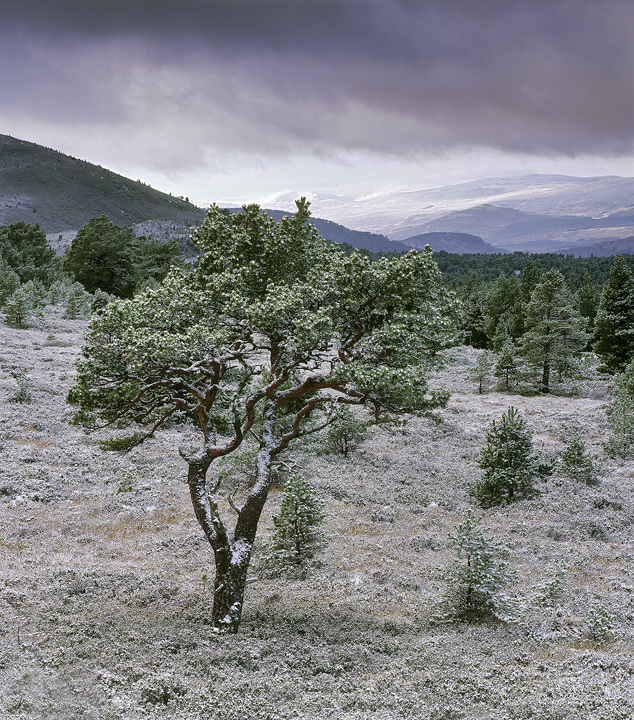 As you climb the road that leads to the Cairngorm mountain resort you pass an area of ancient Scots pine trees. They tend to be rather stunted in growth and gnarled and twisted thanks to the truly appalling weather this place gets during the winter months. This beautiful tree lightly sprinkled with snow has turned to peppermint the dark greens of the evergreen canopy muted by snow. I felt it made a pleasing and sombre shot though I would personally love to have got a bit more visual separation beteen this and the neighbouring woods beyond.